‘CSI, CS-WHY, CS-How’, which is aimed at ‘hard-to-reach’ adults in some of the most deprived parts of Scotland, will delve into one of the most fascinating areas of science today – that of forensic science. 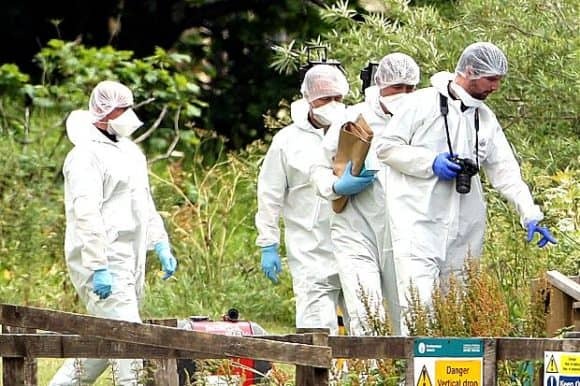 Centred around a mock murder case, Dundee Science Centre has been awarded £40,000 to develop the programme which will involve input from world-renowned forensics experts, famous crime authors and access to venues not usually open to the public, including Dundee’s morgue. The grant from the Government’s Science and Society Community Challenge Grant Scheme is one of only two awarded in Scotland and Dundee is the only science centre to have succeeded with its funding application. Participants signing up to ‘CSI, CS-WHY, CS-How’ will be armed with a hands-on science learning experience at no cost to themselves, providing a career insight into the many STEM fields (Science, Technology, Engineering and Mathematics) associated with forensic science. No qualifications or prior scientific knowledge are required. The unique collaboration between Dundee and Glasgow Science Centres, and the Universities of Dundee (Centre for Anatomy and Human Identification) and Strathclyde (Centre for Forensic Science) will engage, educate, inspire and motivate adults in deprived areas of Dundee, Fife and Glasgow, normally unable to access skills and knowledge applied within this area. Throughout the six weeks, participants will take part in hands-on sessions and ‘meet the experts’ events. With week one seeing the murder scene being set, both DNA and fingerprints workshops will follow, as well as the participants taking part in a mock court case where they will evaluate their evidence and learn the identity of the murderer. They will also take part in forensic science celebration days where they can demonstrate the skills they have learned. The project will then be rolled out to Glasgow Science Centre, who will deliver the workshop and a special loanbox, developed by Dundee Science Centre, to adult community groups in the Glasgow area. Additional activities will also be offered, including Creative Science Writing courses with ‘Million for a Morgue’ authors and members of the Writing Practice and Study team at the University of Dundee. Participants will learn how crime novels are created, take part in a workshop introducing the basics of crime writing (plot, character, development) and, thirdly, present their work at the end of the course, and have it published in the University archives. For more information, please contact Rebecca Erskine, Exhibition and Community Engagement Manager, Dundee Science Centre – telephone (01382) 228800, email Rebecca.erskine@dundeesciencecentre.org.uk or visit www.dundeesciencecentre.org.uk.